*Consultations requiring more than 20 minutes due to reviewing denials, past filings, criminal records and immigration court documents MAY incur a $100 charge. Free Consultation – Attorney Gail Seeram offers a FREE initial consultation to discuss the options and process of filing your immigration petition. We can conduct the FREE CONSULTATION in-office, by phone, WhatsApp or Skype! 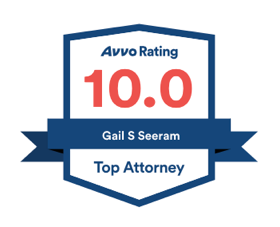 One-on-One Attention – Attorney Gail Seeram personally handles and reviews your immigration case and does not hand your case off to a junior attorney like most of our competitors. 20 Years Winning Immigration Cases – Attorney Gail Seeram is one of the most experienced immigration lawyers in Florida. 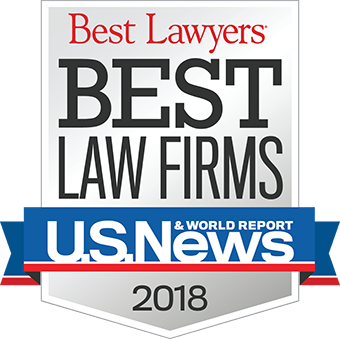 In 2016-2019, we were named Best Law Firms in Florida by U.S. News & World Report. We use our legal experience to deliver success in your immigration case. We choose to exclusively practice immigration law so we can dedicate 100% of our resources to providing superior immigration services to our clients. Many of our competitors practice numerous areas of law and cannot provide the same level of immigration service. Orlando Immigration Lawyer Gail S. Seeram has TWENTY (20) YEARS immigration expertise in all areas of immigration law. Click on any of the topics below to view a short video and article! The Orlando Immigration Lawyer, Gail S. Seeram, takes great pride in the quality of legal services provided to her immigration clients and in turn the success stories that result. CLICK HERE or click on Video Library on top-menu bar to view short videos featuring Attorney Gail Seeram. In our busy world, we know you need ImmigrationINFO quickly so watch our short videos on current and popular immigration topics. More importantly, CLICK TO SUBSCRIBE to our youtube channel. Our immigration law firm offers a FREE Live Chat with the Orlando Immigration Lawyer – select the “Click to Chat” button on the lower right-hand corner of your screen. Our legal staff will respond to your questions or concerns instantly via live chat. Immigration law is federal law, which means that we are licensed to assist clients nationwide and even worldwide with U.S. Immigration issues. Orlando Immigration Lawyer Gail S. Seeram is able to represent clients and prepare petitions and filings without clients having to visit our office. We can easily scan and email documents to our clients. In addition, we use WhatsApp, iMessage, Olark live chat, and ZipWhip text service to easily communicate with our clients located all over the world. Client Case Approvals/Wins section of our website (see blue top-menu bar) highlights our client’s success stories and displays actual family & employment visa approvals, winning decisions on waivers, citizenship, PERM approvals, granted orders to terminate removal proceedings, granted orders to administratively close removal proceedings, and much more. 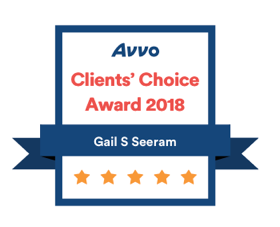 The Orlando Immigration lawyer, Gail S. Seeram, welcomes you to view the many approvals and wins we have received for our clients. Connect with #GailLaw on Google, Yahoo, Bing, etc. Orlando Immigration Lawyer Gail S. Seeram provides “ImmigrationINFO Immigration News For Our Community®” to keep her clients and community informed and educated on the immigration laws and procedures. Our immigration law firm provides current updates and commentary on immigration laws, policies and procedures. We encourage current clients and prospective clients to view our Video Gallery and read our News/Blog (see blue top-menu bar). Orlando Immigration Lawyer Gail Seeram is on social media so connect with #GailLaw on Twitter, Facebook, Google, Instagram and Pinterest. Orlando Immigration Lawyer Gail S. Seeram employs state of the art technology in the practice of immigration law, which increases our speed and efficiency for the benefit of our clients. Our clients have 24 hour access to their files and are provided a username and password to login to their personal file to monitor the progress of their case, upload documents, view petitions, notes and reminders. Additionally, all our office files are paperless and can be shared with clients via email, dropbox or .pdf. In 2011, Orlando Immigration Lawyer Gail S. Seeram founded the GAIL Foundation Inc. (a IRC 501(c)(3) non-profit charitable organization) dedicated to helping children in need. Through the support of private donors, the GAIL Foundation Inc. has constructed and installed playground equipment and play rooms at orphanages, special needs schools and community shelters. To learn more about past and current projects and make a 100% tax deductible donation, visit www.GailFoundation.org. Partner with Orlando Immigration Lawyer Gail S. Seeram to donatePLAY and change the life of a child in need. 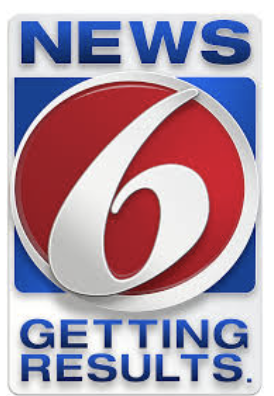 Thank you for your interest in hiring Orlando Immigration Lawyer Gail S. Seeram and we look forward to working with you to win your immigration case!! !